Flowers, trees, fruits—plants are all around us, but where do they come from? According to The Washington Post, Gail Gibbons "has taught more preschoolers and early readers about the world than any other children's writer-illustrator." Ms. Gibbons is the author of more than 100 books for young readers, including the bestselling titles From Seed to Plant and Monarch Butterfly. Her many honors include the Washington Post/Childrens Book Guild Nonfiction Award and the NSTA Outstanding Science Trade Book Award. 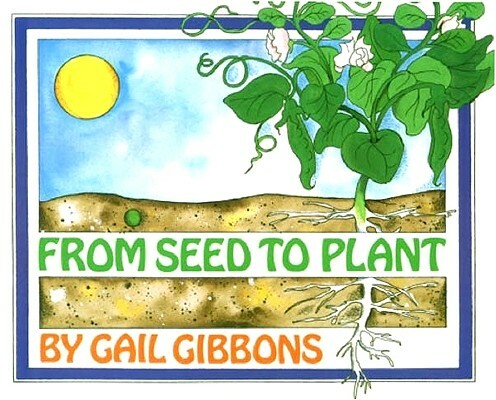 From Seed to Plant was included in the Common Core State Standards Appendix B.
Gail Gibbons "has taught more preschoolers and early readers about the world than any other children's writer-illustrator," according to the Washington Post. Winner of the 2010 Regina Award, she has written and illustrated more than fifty books for Holiday House. She lives in Corinth, Vermont.